This is a Dolphin class C skeeter, one of fleet built in New Jersey in the 80’s. This one has had very good care over the years. The AwlGrip paint is in excellent condition. Mast 20′, plank 16′, hull and springboard 20′. 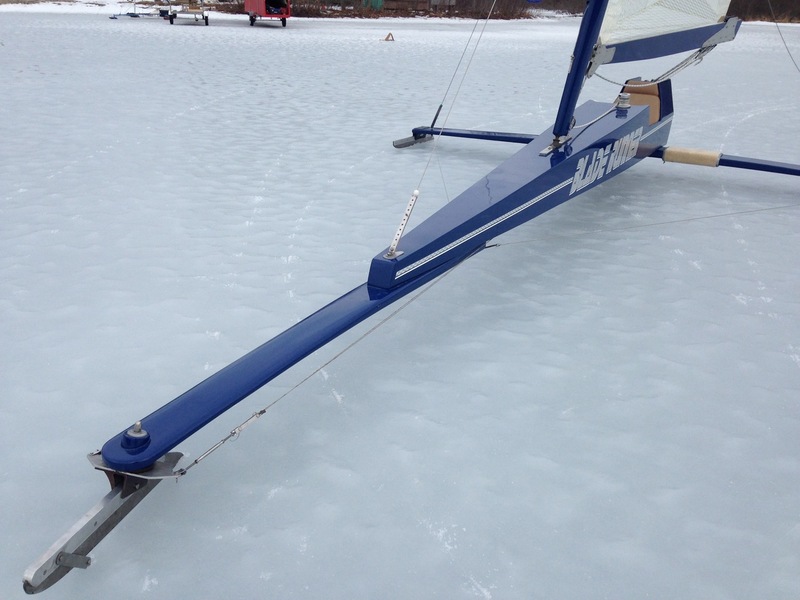 Aluminum Super Chocks, 5/16″ spring steel runners, original sail and new Bossett sail, foot and wheel steering. Travel covers for mast, boom, plank and fuselage. 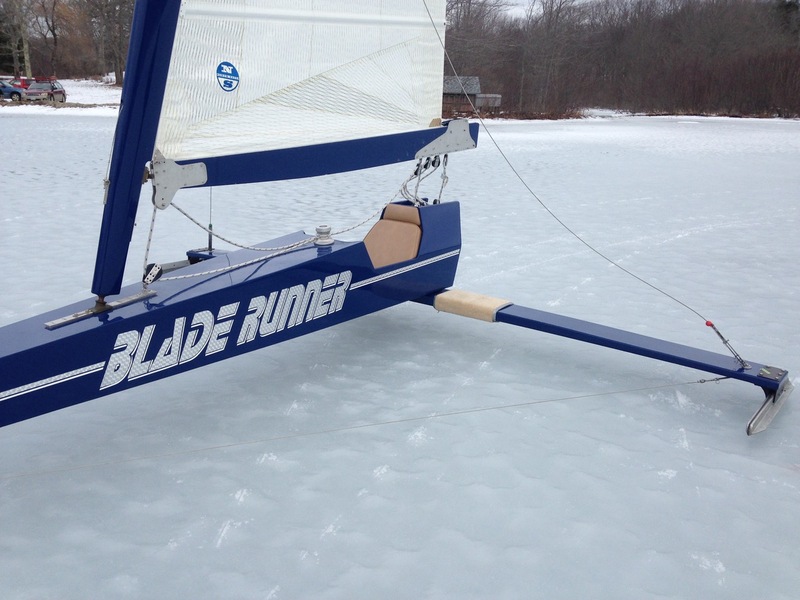 On-ice cover for fuselage. On trailer ready to go. Runners freshly sharpened and aligned. Located in Maine. $2800.oo firm. Call Bill @207-975-6980.